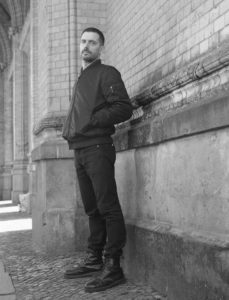 Freddy K may call Berlin home, but this Italian techno activist started his life-long campaign during the early 90s in Rome. Freddy talks us through the early days of inspiring Italy with his infamous Virus radio show, his days as a vinyl distributor and label owner, and currently as a prestigious, highly in-demand DJ. How’s that for a run-on sentence?! On top of his infamous Virus Radio Show, he also runs a record label called KEY Vinyl. He was also behind K1971 Distribution and promotion. Catch him this weekend in Paris at Myst 001 and Sunday at Berghain.